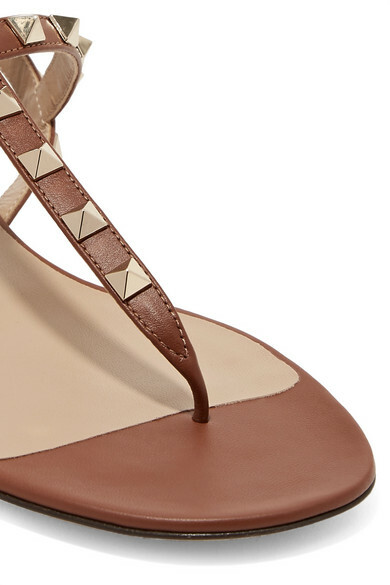 Valentino Garavani's 'Rockstud' sandals are designed in a gladiator-inspired silhouette. Made in Italy from smooth leather, they're hand-finished with the label's signature pyramid studs that have each been galvanized for added shine. Wear them with everything from floaty dresses to cropped jeans. 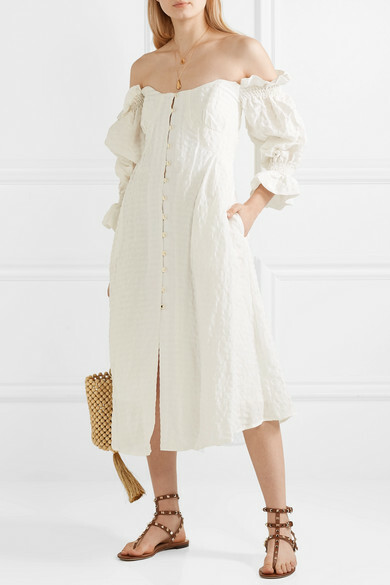 Shown here with: Cult Gaia Dress, Rosantica Bucket bag, Alighieri Necklace, Alighieri Necklace.